My Meetup group is participating in a 52 week photography challenge for 2012. Each week we have a theme we’re supposed to submit a photo centered around said theme. Week 2 here is Cold. 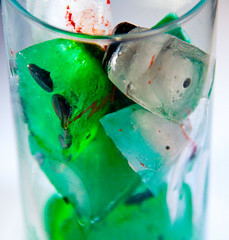 I know it doesn’t seem that cold, but the mad scientist food coloring does give a touch of chilling horror, right?